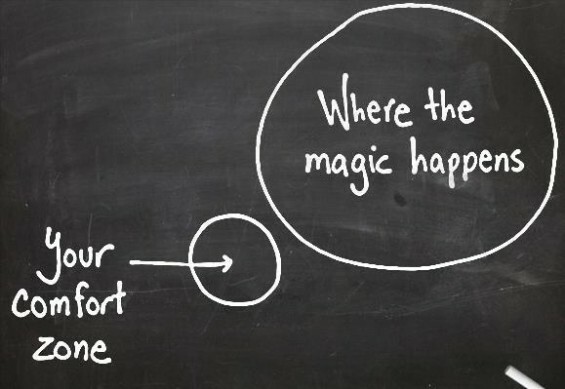 We all have a comfort zone. You know the one I’m talking about. That space you go to where you feel like you are safe from harm mentally, emotionally and physically. That space where you feel you have control. The problem with comfort zones is they lead to complacency. With complacency, you will always be spinning your wheels because you will miss out on opportunities, wealth, love, and adventure. In my personal opinion, the core issue many people struggle with in complacency is the fact that they think they can’t do something. So instead of pushing themselves and risking getting hurt or being rejected for something they want, they immediately omit the idea from their brains and revert to their comfort zones. I’ve been guilty of it before, as I’m sure we all have. But I know for a fact that is certainly not how successful people live. Take Mark Zuckerberg, for example. If you haven’t heard his name by now, I’m convinced you live under a rock. The founder and CEO of Facebook not only took up writing software as a hobby in middle school, but was constantly looking at ways to use and sharpen his skills and talents. When he attended Harvard, he wrote an application dubbed “Facemash” in which college students could log in and vote for the most attractive people on campus. As most of you know, that was quickly shut down, and the university disciplined him. What did he do after that? He launched a “little” network known as Facebook from his dorm room. Ever heard of it?! Well, we all know the story from here. 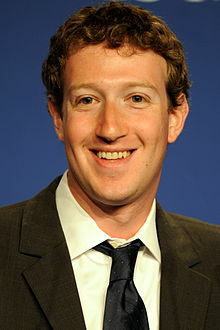 But as a sophomore dropout of Harvard, Zuckerberg became a billionare at the ripe old age of 23 because he took a chance and stepped out of his comfort zone. Now, we aren’t all technological geniuses who can just forgo college and create a social platform used by billions of people on a daily basis- but the moral of this story is, Mark knew his talents and strengths. He did everything he could to polish those skills, step out of his comfort zone (or the “cookie cutter” lifestyle, as I refer to it) and make some magic happen. What are your strengths and talents? Do you have a dream you’ve been shoving to the back of your mind because you’re scared of failure? As I sit here and think about my vices and my go-to’s which comprise my comfort zone, I ask myself: Am I staying comfortable and keeping myself from being the best I can be? Or am I sharpening my abilities, learning new things and constantly bettering myself? These are questions I ask myself on a regular basis. I feel like since it’s constantly in the back of my mind, I make the extra effort to push myself at work from the moment I wake up to the moment my head hits the pillow at night. I go to church, eat healthy, exercise, have accomplished one of my dreams of being on a professional dance team (which took a lot of courage to audition for in the first place), spend time with my family and friends, and try to take trips to new places as often as possible. But I still have to make that conscious effort to step out of my comfort zone every day I wake up. It’s not always easy, but it’s worth it- because in the end, I want to say I took chances and lived life to its fullest. So, whether you have some “crazy” dream/idea you’ve been pushing to the back of your mind because you think you simply “can’t” do it, or feel like you are a just a frequent visitor of your comfort zone, you can take these simple steps to exercise pulling yourself out of that safety net. Who knows- you could draw inspiration from it! Make little changes in your regular everyday choices and activities. If you’re used to going to a certain few restaurants when you eat out (we’re all creatures of habit), make it a point to try a completely new one at least once a month. Don’t normally wear crazy colored clothing? Purchase some bright-colored wardrobe additions. You get the idea- mix stuff up! Try a new sport. Go to a cooking class. Hit up the gym if you’re not an avid gym-goer. Join a book club. I don’t care what it is, just make sure it’s new and pushes you to do something different for a change! This is huge. How do you know if you’re going in the right or wrong direction if you don’t have someone else’s opinions or help? Say, for example, you decide to take up golf and are convinced you’ll be the next Phil Mickelson or Michelle Wie, but you aren’t quite up to par (corny, I know, but I had to) with your swing. If this is something you really aspire to do, you should be open to taking pointers from people who are good at the game. If you’re just a hopeless case, you have to also be open to hearing that. It’s ok though, because you at least put yourself out there and TRIED. Go grab a beer from the beer cart girl and move on to the next idea! Everyone is different and has different levels of comfort, but it’s ultimately up to each individual to make a conscious effort to step out of them on a daily basis. On a side note, if you live in the Dallas area and really want to step out of your comfort zone in the corporate world, you should check out MultiView.